Have you been looking for mortise lock repair install & service in the NY or NYC area? We specialize in more than selling Kwikset locks, the Medeco Lock, the Mul-T-Lock or Master Lock models, and also repair locks. We are 24/7 locksmith services near you. Fast arrival, affordable prices and being locally owned are our keys to success. You can call us 718 445-9200 in New York and we serve customers in Brooklyn, Queens, Long Island and Manhattan. To learn more about mortise lock repair install & service, keep reading. Why you need mortise lock repair install & service? Most mortise repairs are due to an attempted theft that makes the key difficult to insert. Although it is good that the thief was not able to get into your home or property, the lock may no longer work correctly and will need to be repaired by a professional. 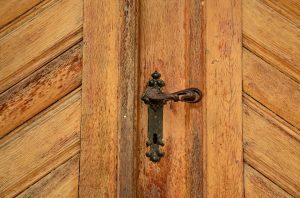 Unlike cylindrical locks, a mortise lock has a pocket inside the door, and this is why it is better at theft prevention. Regardless, when a burglary is attempted, the mortise lock will need to be serviced by a professional to ensure the door is not broken during an attempted DIY repair. 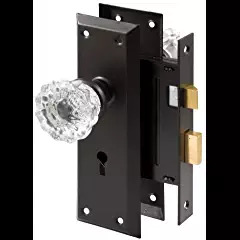 When we arrive at your commercial or residential property, you will know that you are getting a visit from pros in mortise lock repair install & service. 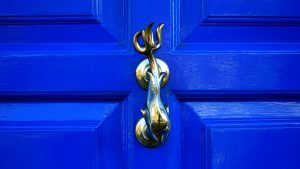 Although you will not need to be present for the repair, it is recommended that you have someone nearby to guard your property while your door is waiting for install services. You may also need a new key made or delivered if you decide to upgrade to a mortise lock install. How we make sure you do not get locked out in NY again? We are dedicated to our customers, and we want to make sure to get an emergency repair fixed as quickly as possible. Despite this, we often find that a mortise lock repair install & service emergency call is usually related to a preventable issue. Namely, when customers call us 718 445-9200 for lock services, we end up only using a lubricant to open the door. In other words, to get preventative services that will help you keep emergency calls at bay, let us help your business with regular inspections and maintenance of your locks. While we are specialists in a lot of high-tech locks, we also have a variety of locks in stock that can give you extra protection while you are waiting for your locks to be fixed. For example, we have Kwikset locks, Medeco Lock, Mul-T-Lock and Master Lock sets to keep doors or fences secure while we are working. We can also bring extra Kwikset, Baldwin, Schlage, Arrow, Yale, Adams Rite locks, or MARKS USA brands with us when we visit your home or commercial business. Other kinds of locks we specialize in are Corbin Russwin which are known for being jimmy proof. To get a lock like this delivered to your NYC property in the Brooklyn, Manhattan, Queens or Long Island, call us 718 445-9200. At Armor Locksmith, NY, you will find the most affordable prices in New York and we are also locally owned. We encourage you to call us 718 445-9200 for 24/7 locksmith services near you. Fast arrival happens because we are located in New York and service the entire NYC Metro area. This includes areas in NY throughout NYC such as Brooklyn, Queens, Long Island and Manhattan.